This Event has been read: 669 times. "Why do you take aspirin with champagne?" The months of October, November and December go by so quickly before you know it New Years Eve is here and you will need some great bubbly to celebrate!! Wine Watch always has a great selection of Champagne and Methode Champenoise Sparkling wines as I always say, “every day above ground is reason to celebrate” and they just found out the bubbles are good for the brain! I have the scientific evidence for this claim at the end of this offering so drink your Champagne every day!! This tasting features a one of a kind producer and some of the most unique wines made in Champagne including the Ratafia and an incredible wine pairing menu to accompany the Champagne. 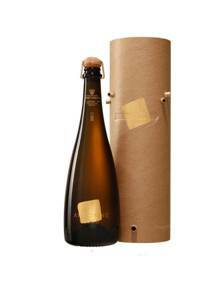 The price for this Champagne tasting is $125 + tax and this includes dinner! For reservations call 954-523-9463 or e-mail andy@winewatch.com. 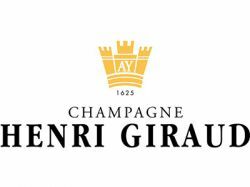 Champagne Henri Giraud is one of a kind. With a long list of innovations already under his belt, twelfth-generation owner Claude Giraud is always hungry to find new ways to hone quality and deepen his commitment to the environment. He starts with the family’s property in the grand cru Aÿ, the region’s rarest and most highly valued cru, and pairs his top wines with barrels sourced and individually traced from carefully chosen, GPS-located terroirs in Champagne’s Argonne Forest. Claude conceived this avant-garde program, which includes a philanthropic commitment to replanting the oak forest, in order to return to the land and the comprehensively regional origins of wine. Even the entry-level wines are vinified and aged in entirely natural materials: the winery has converted all of its neutral containers from stainless steel (which, Claude observed, exhausted the wines) to terra cotta. 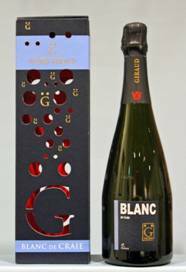 Suffused with a superb mineral bitterness, it marks its arrival amongst the great wines of Champagne, with its incomparable fruit offering an invitation to shared pleasure. 80% Pinot Noir and 20% Chardonnay With 50% reserve wines matured in small casks made of oak from the forest of Argonne and in ovoid vats. 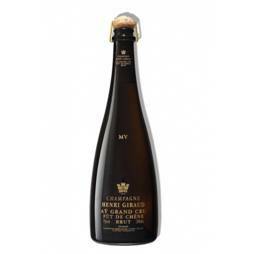 This Coteaux Champenois is a brilliant modern style representative of a still champagne wine. It makes the most of the contribution of wood without losing the freshness and distinction that characterises the region. 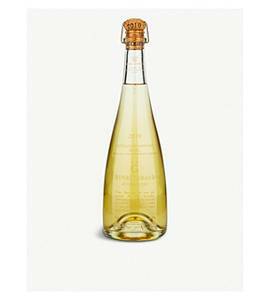 Maison Giraud thus offers a characteristic and distinguished but nevertheless original wine. A real pleasure to be shared with lovers of champagne wines. 2005 base vintage; a blend of 60% Pinot Noir and 40% Chardonnay, fermented and aged in small barrels from the Argonne Forest Deep yellow; aromas of tropical fruit, Anjou pear, smoked mozzarella and a light nuttiness. Excellent depth of fruit, with a delicate feel on the palate. The wood notes are intriguing, but not too powerful. Good acidity, excellent persistence and complexity, with a rich, compelling finish. Outstanding! 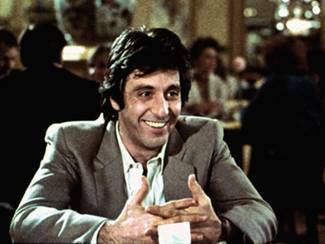 Enjoy over the next 7-10 years. The delightful alchemy, discovered in the 13th century, now allows us to taste the caress of this Champagne grape juice same way that salting was used to preserve meat. Ratafia is an ancestral method of preserving fruit juice in the same way that salting was used to preserve meat. Soléra is an ancestral method of maturing and gradually assembling different vintages, generally used for the great Port wines. Patiently, the fruitiest juices chosen from the best cuvees, were raised in small oak barrels and then blended around a heart of Pinot Noir D'Aÿ. 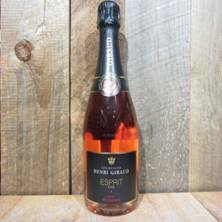 The colour is remarkable warm, reminiscent of very old Champagnes or sweet, liquorish wines of more than thirty years of age. Amber coloured with pretty, coppery highlights that are almost red. The first aromas are powerful, with cherry preserve, warm spices (turmeric), almonds and Maraschino against a background of meat juices providing depth. Then the expression becomes finer and more complex: chocolate, preserved orange peel, cherries in eau-de-vie and quince jelly, with a hint of cinnamon and then, gradually, a touch of the classic 'rancio' of great fortified wines. After breathing and warming a few degrees, dried fruits (apricots), poached pairs and even grape must begin to emerge. It's as if this Ratafia de Champagne is rejuvenated as it warms up. This extraordinary blossoming is best enjoyed served at between 10 and 15°C. In the mouth, very supple and smooth, we are immediately taken by its caressing creamy texture. 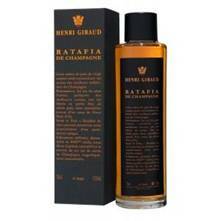 This fullness is confirmed through the tasting process, and then gradually the fine Champagne temperament of this Ratafia refreshes the overall effect. This end of summer sweetness gives us delicious aromas of dried apricots, cocoa and cherries. The finish is long (8 to 10 seconds) and pure, with a handsome touch of acidity leaving the mouth perfectly clean and fresh. Grape Varieties: 30% Chardonnay 70% Pinot Noir. Second pressing musts cold settled, stabilised with liqueur (wine distillate) then raised in small oak barrels according to the rules of soléra, using the very best Champagne vintages. Argonne embodies the Henri Giraud philosophy that Champagne is wine, not just bubbles. For every bottle of Argonne purchased, a donation is made towards the replanting of the Argonne Forest.